These Agents Will Plan an Amazing Accessible Trip for You! It might sound retro, but using a travel agent in 2019 might just be the best thing you do this year. Like any professional, travel agents know all of the secrets, and can get you even better deals than most of the aggregate travel websites we are used to using. Plus, this year we are trying to free up more time for you, so why not pass planning your family trips off to a pro and save yourself some money, time, and sanity in the process? There are a couple of routes you can choose to go down when using a travel agent. For the full VIP experience, pick someone from Travel + Leisure’s list of the top travel agents in the world. Spare a little more money and still get the full concierge experience by using a tool like TravelSense.org, Travel Leaders, or DisabledTravelers.com. These sites will help you find a travel agent that specializes in planning any type of vacation, from a safari to a cruise to a National Park tour (yes, just like the one you are currently daydreaming about!). If you don’t even know where to start in finding your own travel agent, but know you would like to plan a vacation for the person you care for, check out some of these great independent agents and groups that put together tours all around the world for anyone and everyone! 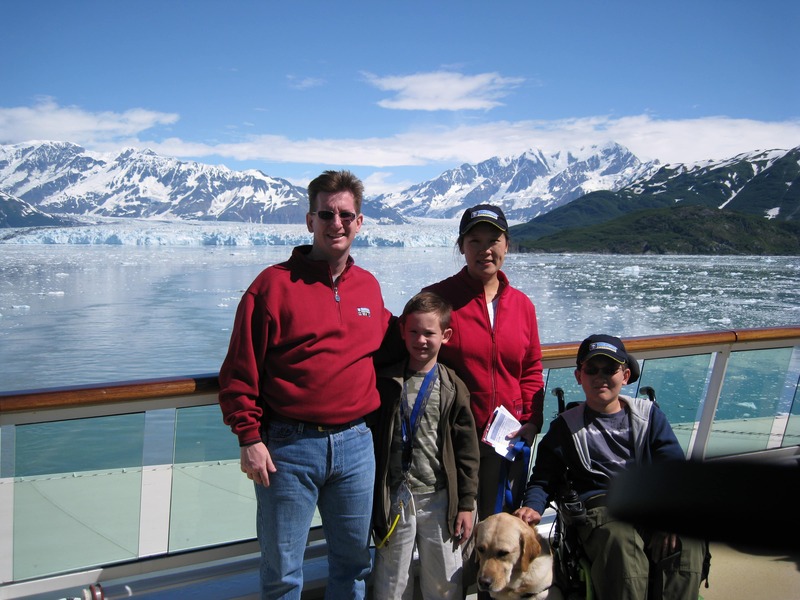 Wheelchair Escapes With Kristy Lacroix – Certified Accessible Travel Specialist Kristy has 23 years hands on wheelchair travel experience, and has sailed on over 65 cruises. She is a member of the Royal Caribbean and Celebrity Accessible Travel Agent Advisory Board. New Directions Travel – New Directions for people with disabilities, inc. is a 501(c)(3) non-profit organization providing leisure and educational travel opportunities for adults who have mild to moderate intellectual and/‍‍‍or developmental disabilities, such as ce‍‍‍rebral palsy, Down syndrome and autism. Since 1985, they have taken over 18,000 people with special needs on tours all over the world. Accessible Journeys – Since 1985, Accessible Journeys has been a vacation planner and tour operator exclusively for wheelchair travelers, their families and friends. All of their accessible lifestyle vacations© are individually created to harmonize with clients’ abilities with the accessible resources necessary so travelers who walk slowly and use wheelchairs can enjoy a vacation in an environment that is barrier free to their needs. The Guided Tour Inc. – Since 1972, thousands of men and women with developmental challenges, autism, Down syndrome, and other special needs have achieved greater independence through travel experiences provided by The Guided Tour, Inc. The focus of The Guided Tour is to provide a growth-producing experience for travelers, in which they are able to travel and socialize independent of their families.